“We should keep a smile on. After all, we’re in business again. We must use a smile to greet every customer. 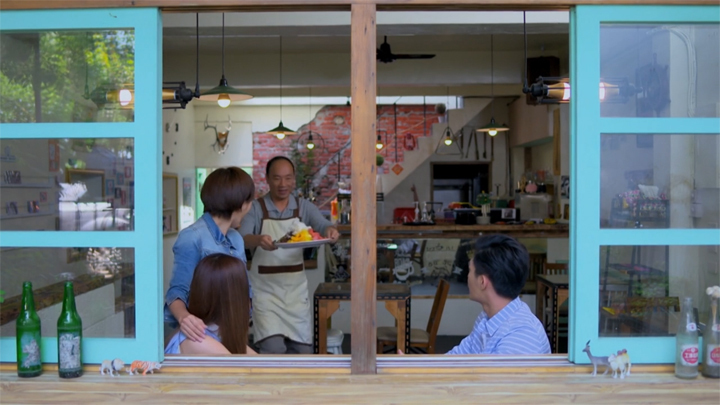 This is what Zhong-mum had wanted, right?” Ji Wen Kai says to everyone after a story behind the eatery’s name. Zhong Yu Tang’s father had explained the story behind the eatery’s name, Homelet’s Smile. Homelet’s Smile is a name that his wife seemed to have named. 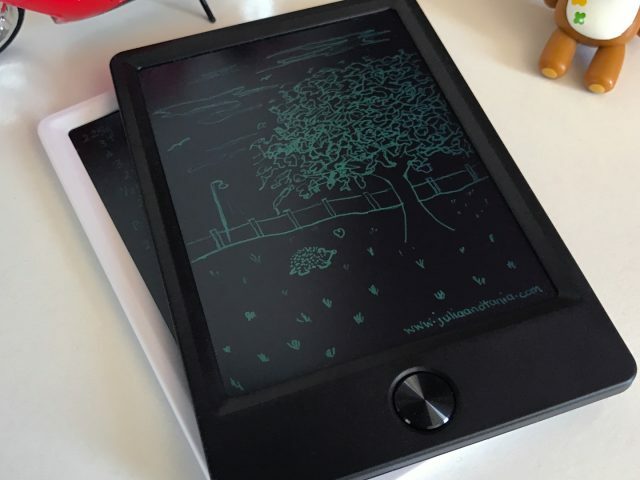 A combination of her name, He Mei Xin, and the English word, omelette, it’s explained that the intention is to have the home allow them to smile. The remainder of the afternoon till night, Ji Wen Kai’s thoughts are on Zhong Yu Tang’s mother. A walk in the playground of the place he’d last met up with Zhong Yu Tang’s mother, Ji Wen Kai recalls him sitting down with her at a bench. Zhong Yu Tang’s mother had asked how his study was going before wondering if he had fought with her daughter, explaining that she noticed he’d stopped coming to help out at the eatery. 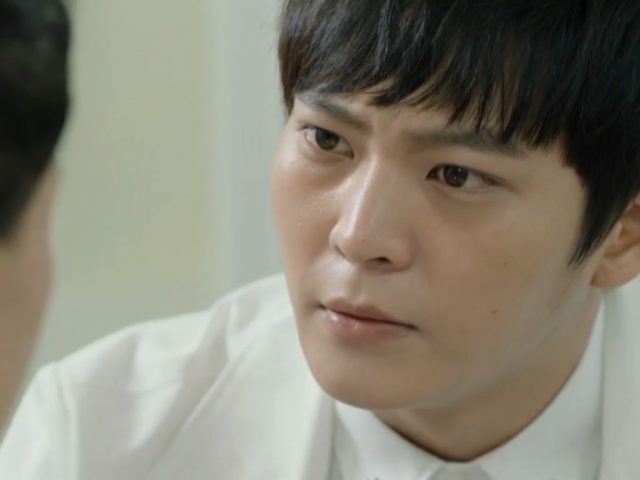 The meeting progresses and concludes as in the previous episode with Zhong Yu Tang’s mother asking Ji Wen Kai to come over in the weekend to have a meal with the family. This comes after she asked Ji Wen Kai to look after and take care of Zhong Yu Tang for her. Her request is because Zhong Yu Tang has an adult outward appearance, but is a child on the inside. It’s a view that is opposite of how she saw Ji Wen Kai: unlike her daughter, she saw Ji Wen Kai as having a child-like exterior, but mature and is an adult. This meeting Ji Wen Kai remembers minutely reveals the story behind Ji Wen Kai’s relocation. After Zhong Yu Tang’s mother had asked how Ji Wen Kai was going with his studies, Ji Wen Kai wondered whether he should let Zhong Yu Tang’s mother in on the fact that his father was taking him out of the country soon. The next day, Ji Wen Kai and Zhong Yu Tang are at Wang Hai Di’s father’s shop for some shaved ice. Ji Wen Kai is there to make true of his promise to buy Zhong Yu Tang shaved ice for gaining the contract with Yours. It’s a familiar scene of Wang Hai Di’s father, Uncle Wang, asking to see Ji Wen Kai and Zhong Yu Tang’s report cards. While Zhong Yu Tang says she doesn’t have one today, Ji Wen Kai brings out his phone and shows the certificate Zhong Yu Tang got for the achievement of gaining the contract with Yours. Uncle Wang is impressed and praises her for achieving such an achievement, especially when it hasn’t been long since being transferred to the Sales department. Zhong Yu Tang seems to feel Uncle Wang’s praise is undue when she’s still got a lot to learn; and she points to Ji Wen Kai, telling Uncle Wang he’d help her quite some bit. Zhong Yu Tang’s reaction of disbelief from the revelation of a fact she appears to have known and Ji Wen Kai’s response to her disbelief is one Uncle Wang notices as odd when he observes the smile that Ji Wen Kai and Zhong Yu Tang supported and directed towards the other along with the eye contact between them to be unusually gentle. Ji Wen Kai fills Uncle Wang in on their relationship status. “Yu Tang and I now have a boyfriend-girlfriend relationship status.” Uncle Wang once more shows surprise. He then congratulates the pair on their change of relationship status and tells them how he had thought they were very compatible for each other back then. 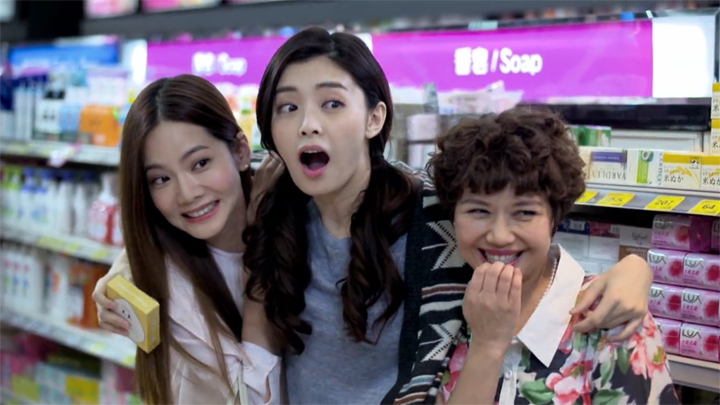 At this time, Zhong Yu Tang’s friend, Wang Hai Di, comes running in, exclaiming it’s been a while since she and Zhong Yu Tang has seen each other. She asks Zhong Yu Tang if she’d like to have a drink later. Her attention then turns to Ji Wen Kai. She greets him with a wave that is cutely alluring. Her father tugs at her arm and informs her Ji Wen Kai was now in a relationship with Zhong Yu Tang. Wang Hai Di is surprised by the fact. Zhong Yu Tang seemed to have not told her when she whines why Zhong Yu Tang didn’t tell her and questions whether or not they had a sister-like friendship. “Aren’t I telling you now?” Zhong Yu Tang responds. “Too late,” Wang Hai Di says. Wang Hai Di turns to Ji Wen Kai. He’s the next person she directs her disappointment at. She asks if she had seen it wrong that he had secretly liked her. She answers the question herself when she expresses all men to have fickle hearts and change tastes after studying overseas. Zhong Yu Tang, interrupting Wang Hai Di, suddenly announces she needs make a call. She gets out of her seat and heads outside. It’s a phone call she makes to Ji Wen Kai. It’s to make sure Ji Wen Kai doesn’t respond incorrectly to Wang Hai Di’s fanciful thoughts of the situation: Wang Hai Di being her good friend who’s a little childish, Zhong Yu Tang wishes for Ji Wen Kai to go along with the things she says to make her happy. Ji Wen Kai follows Zhong Yu Tang’s instructions well. 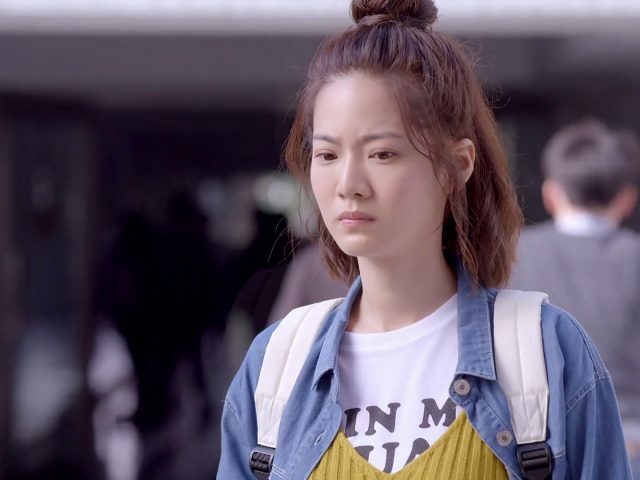 As Wang Hai Di continues in her fanciful thoughts, expressing people having a hard time going after her because she has high standards, Ji Wen Kai listens. He listens to Wang Hai Di tell him to not be too sad. The lack of fate sees them unable to be together and there is nothing humiliating to not have his first love go well. Ji Wen Kai agrees. Let the past be in the past, Ji Wen Kai says. By the time Uncle Wang brings out a rather large plate of shaved ice with various toppings, Zhong Yu Tang is back in her seat opposite Ji Wen Kai. Uncle Wang explains the large plate of shaved ice to be a special one. It is a serving that only Zhong Yu Tang’s mother has only tried, up until now. Zhong Yu Tang is pensive as she looks at the shaved ice. “That’s right. I forgot my mother liked eating Uncle Wang’s shaved ice more than I do,” Zhong Yu Tang says. It takes Zhong Yu Tang some moments of looking at the plate of shaved ice and Ji Wen Kai’s kind eyes gesturing her to begin eating that Zhong Yu Tang motions to eat. It’s evening. Zhong Yu Tang and Wang Hai Di have a chat over a drink. Wang Hai Di’s observation earlier of Zhong Yu Tang thinking of her mother has her tell Zhong Yu Tang to not be so depressed when all areas of her life is doing so well. 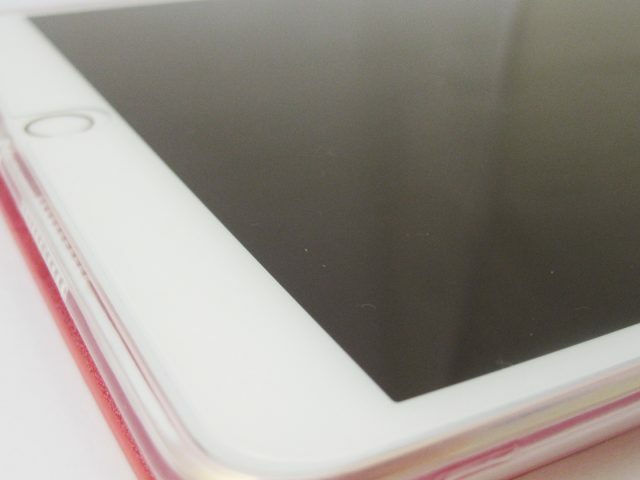 This brings Zhong Yu Tang to reveal her fear of things unexpectedly coming to unhappiness. Wang Hai Di tells Zhong Yu Tang that life comes at them with events that happen without warning. 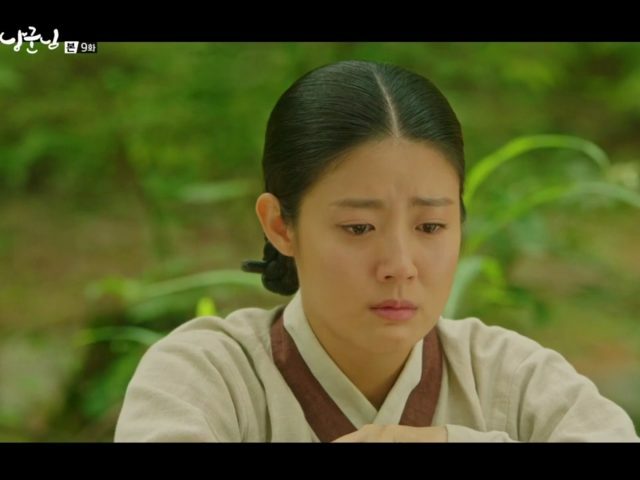 Her words indicates for Zhong Yu Tang to not worry over such things when she tells her that what has happened is in the past. Things will go smoothly in the future. But the fear continues in Zhong Yu Tang. She wonders if it’s that she’s destined to not be able to obtain happiness. “Silly,” Wang Hai Di says to Zhong Yu Tang, “who’s destined to not be able to obtain happiness? Have you heard of the Law of Attraction? You must think of good things in order for good things to come. If you’re over there worrying about unhappy things from day till night, you will attract unhappiness. That’s why we must think positively. What you should be doing is hold dearly onto it. That way, happiness will be yours.” This seems to get through to Zhong Yu Tang a bit more. But it seems Zhong Yu Tang still requires a bit more convincing when she asks Wang Hai Di if it’s that she’s thinking too much. “Yes. Your bad habit is that, morning till night, you think too much.” And to make sure Zhong Yu Tang doesn’t have anymore doubts that things will be alright no matter what, Wang Hai Di adds that she has the very capable Ji Wen Kai who will take care of her now that he’s a CEO. If not him, then she has herself who will support her no matter what and will support her to the end. Zhong Yu Tang is able to show Ji Wen Kai that her mood is better when he comes to pick Zhong Yu Tang up at the end of her time with Wang Hai Di. Ji Wen Kai notices it as well when he makes a comment about her mood. They take a quiet and peaceful stroll through the night street to Ji Wen Kai’s car. 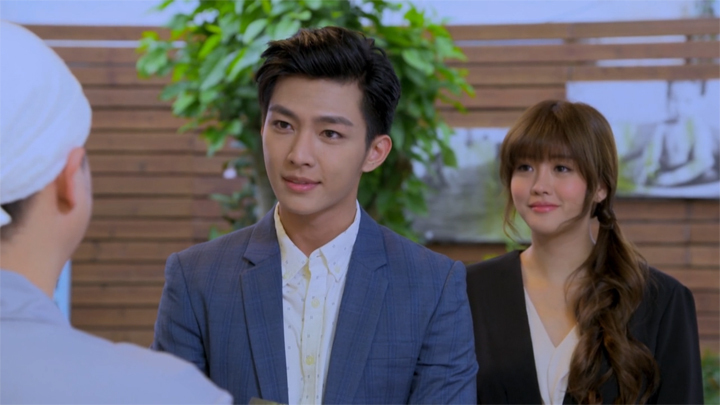 In their stroll, Zhong Yu Tang seems to think aloud and come to agree that all of what Wang Hai Di had said and told her to do earlier was correct when she tells Ji Wen Kai that she doesn’t need to think too much about the matter of happiness disappearing from her. She thanks Ji Wen Kai for allowing her to meet Sales Team 3 who were like family members. She also thanks him for helping her family make her omelette eatery become busy. “I feel so blessed,” she finishes off. Ji Wen Kai points a playful finger at Zhong Yu Tang’s forehead: she does overthink things. They reach his car. Ji Wen Kai helps Zhong Yu Tang get into his car, opening the door for her before heading around the front to head to the driver’s side. But Zhong Yu Tang isn’t finished with her gratitude towards Ji Wen Kai. She calls Ji Wen Kai back. “Wait a moment,” she says. Ji Wen Kai comes back around and tends to Zhong Yu Tang’s call. He leverages himself with hands on the door to the passenger seat window Zhong Yu Tang has her head sticking out from. “I haven’t finished saying what I want to say,” Zhong Yu Tang says. “What words do you want to say? Speak,” Ji Wen Kai says. He straightens his stance a little to make way for Zhong Yu Tang who pops half her body through the window to level with him. Like Ji Wen Kai had done so many times before with Zhong Yu Tang, Zhong Yu Tang grabs Ji Wen Kai’s mouth with a hand of hers, pursing his lips. She imitates the look Ji Wen Kai. “Ji Wen Kai,” Zhong Yu Tang begins. “What?” he responds. “I truly thank… I truly thank you for letting me meet you again after ten years.” She then shows Ji Wen Kai her gratitude with giving Ji Wen Kai a kiss. Ji Wen Kai returns it in kind: he thanks Zhong Yu Tang for also allowing him to meet her again and goes in to give Zhong Yu Tang a long kiss. Selling Mei Mei begins. Jiang Hui Xin and Zhu Liang Yu, Huang Jia Yin and Chen You Rui, Zhong Yu Tang and Meng He all work to convince their customers to order more boxes of Mei Mei from them. 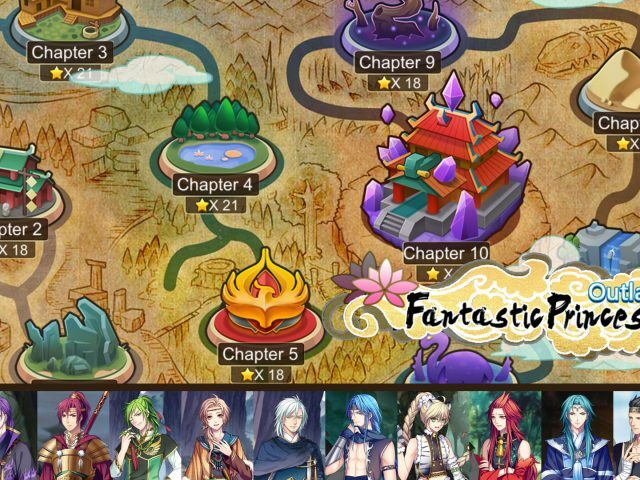 The team of Jiang Hui Xin and Zhu Liang, and the team of Huang Jia Yin and Chen You Rui. 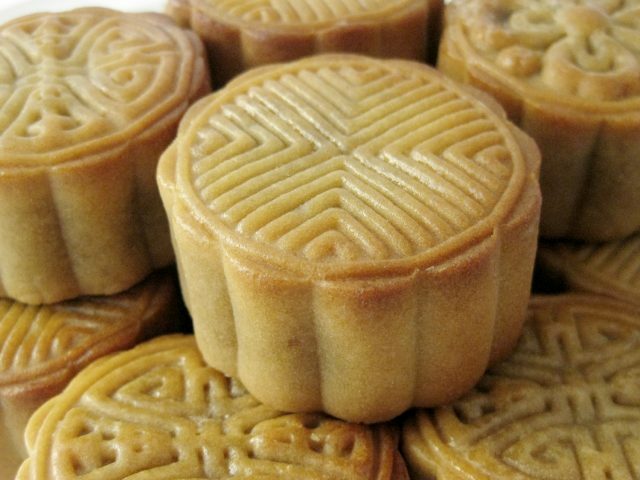 Both teams manage to bring their customers to agree to purchase additional boxes of Mei Mei. Zhong Yu Tang and Meng He also manages to get their customers to increase their order of Mei Mei. 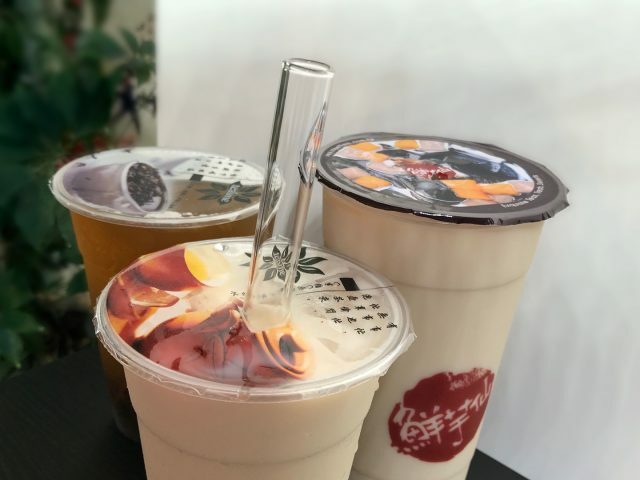 They manage to convince their customers through an act of not having enough stock of Mei Mei with large orders made through phone calls that Zhong Yu Tang pretends to have. However, Sales Team 3’s hard work of getting their customers to increase orders of Mei Mei only results in returns of stock when a rivalling company has a strategy mirroring Sales Team 3’s strategy for selling Mei Mei. It doesn’t faze the team, however. They turn to the consumers. 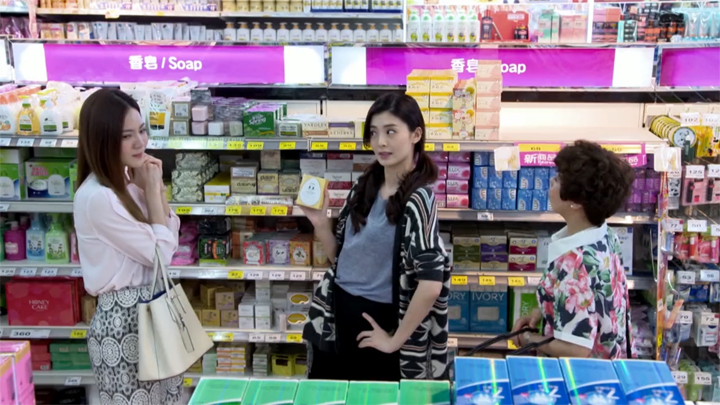 They use a strategy of increasing consumer’s desire for the product through a skit of sorts that see Meng He and Huang Jia Xin assume a role of supermarket shoppers fighting over Mei Mei and Zhong Yu Tang as an uninformed shopper who becomes sold by the product. They gather a crowd who runs to go grab their own bars of Mei Mei. Meanwhile, Zhu Liang Yu, Chen You Rui and Jiang Hui Xin promotes Mei Mei using the Internet. They produce a clip to be posted online of a foreigner who has trouble finding Mei Mei because of its new packaging. Ji Wen Kai has also been providing help to Sales Team 3 with selling Mei Mei. Ji Wen Kai and Miao Ai Sha make a visit to a factory owner by the name of Ah Hui (Calvin Lee). 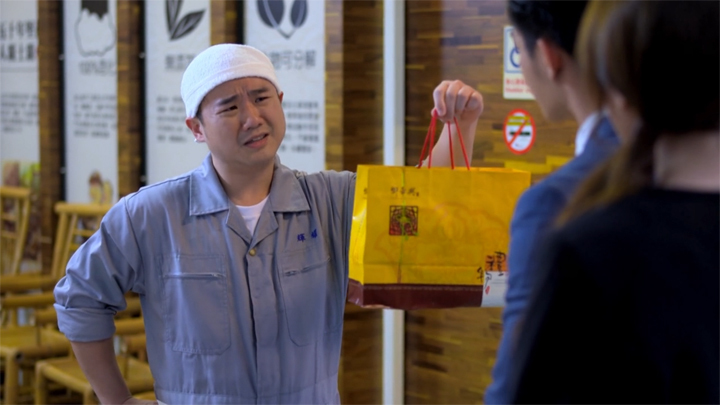 It is unsuccessful the first time round when Ji Wen Kai is told by Ah Hui he is unable to increase their order quantity of Mei Mei even if it’s only by two boxes. He will continue to order the quantity as set by the contract he made with Meng He. But Ji Wen Kai does manage to get the chance to sit down with Ah Hui to discuss about Mei Mei. It’s an opportunity that appear to have come by through Ji Wen Kai taking the time to personally visit him at his small factory that first time round and most probably also due to the gesture of giving him a gift of some of Tianxi’s products that his wife loved on that first trip to his factory. Ji Wen Kai gets invited to have a social gathering with him and the worker at his factory. This chance Ji Wen Kai obtains has Ah Hui agree to collaborate with Mei Mei in whatever way Ji Wen Kai has in mind. He also manages gain Ah Hui’s friendship when Ji Wen Kai tells Ah Hui he won’t talk business, but will simply have drinks and just chat during this social gathering. Whilst Ji Wen Kai was at the social gathering, accompanied by Miao Ai Sha, Zhong Yu Tang was with Wang Hai Di. This evening outing with Wang Hai Di comes to be the plan for the evening for Zhong Yu Tang when she failed multiple times to pick up on Ji Wen Kai’s invitation to spend the evening with him at his place when he called her to his office and, with Miao Ai Sha present, he asked her with their secret code of whether she wanted to have coffee later. This meetup with Wang Hai Di has Wang Hai Di ask Zhong Yu Tang why she was believing Ji Wen Kai was tending to business matters at a time that she saw as late and, after seeing a picture of Ji Wen Kai’s secretary, she wondered why she wasn’t concerned he had gone to a social gathering with a secretary that looked like a model with an appearance that men cannot resist with a bit of flirting. She tells Zhong Yu Tang she will call Ji Wen Kai if she doesn’t call him herself. Wang Hai Di’s insistence of calling Ji Wen Kai has Zhong Yu Tang call Ji Wen Kai herself. The person who picks up Ji Wen Kais phone is Miao Ai Sha. At the time Zhong Yu Tang calls, Ji Wen Kai had gone to the bathroom. Noisy and rowdy on Miao Ai Sha’s end, Zhong Yu Tang is told she will have Ji Wen Kai call her back in a while. It’s also that Miao Ai Sha is unable to talk to Zhong Yu Tang for long with the factory workers wishing to toast with her. Zhong Yu Tang tells Miao Ai Sha to not worry about getting Ji Wen Kai to call her back. She lets Miao Ai Sha continue in her socialising without concern she wasn’t able to speak to Ji Wen Kai. Wang Hai Di is concerned. She tells Zhong Yu Tang she needs to take action and prevent things from happening between them. But still, Zhong Yu Tang says Miao Ai Sha isn’t a threat. She is a friend who is a good person. She tells Wang Hai Di that she will also like Miao Ai Sha when she comes to know her. The strategy of increasing consumer interest and desire for Mei Mei with the roleplaying at the supermarket and online video is fruitful. The office of Sales Team 3 is bustling with customers wishing to increase orders for Mei Mei to the level where there is a shortage of supply and a call is needed to be made to the factory to request for them to speed up production. The fruitful outcome has Sales Team 3 plan a day of fun together the next day. All agree to join in except Zhong Yu Tang who tells everyone she will be busy with her omelette eatery. However, it’s that she has a day out with their CEO, Ji Wen Kai. 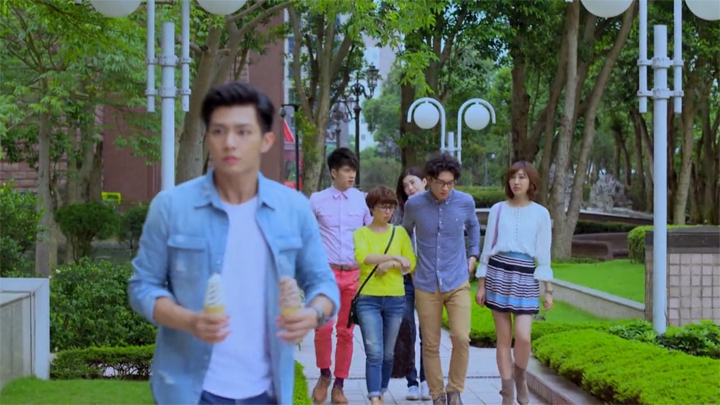 A coincidental meeting has Ji Wen Kai stop dead in his tracks when Jiang Hui Xin spots him and calls out to him as he is in the midst of returning to Zhong Yu Tang with the two cones of ice creams that he went to buy for them. We weren’t really happy with this episode. It built around some trivial things and we didn’t find many things in the episode all that great. 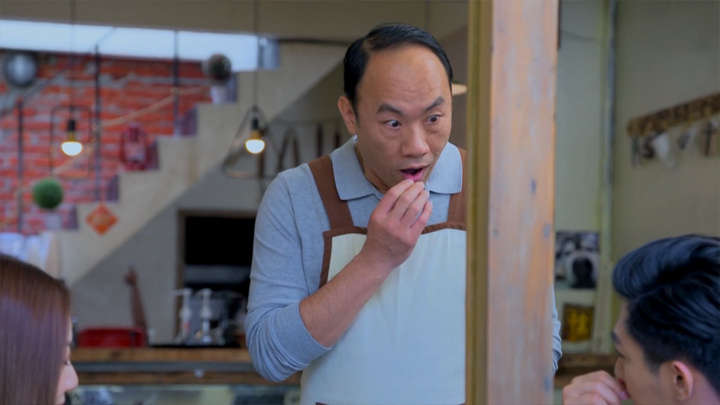 The inclusion of the Wang Hai Di character, Zhong Yu Tang’s good friend, into this episode didn’t do much to create interesting relationship or character development. All the parts with Wang Hai Di we could have done without. The first scene Wang Hai Di appeared in the episode was the scene where Ji Wen Kai and Zhong Yu Tang was at her father’s shop. This scene at her father’s shop, Wang Hai Di was complaining about Zhong Yu Tang not informing her of her relationship with Ji Wen Kai. She was also sulky that Ji Wen Kai moved on from his secret crush on her. She said, “Weren’t you secretly in love with me?” That reaction of Wang Hai Di’s stuck out like a sore thumb for us. The reaction is so odd. We can’t accept ‘childish’ to be the explanation for why Wang Hai Di would ask such a strange question as ‘weren’t you secretly in love with me?’ to a person she doesn’t even like. This first scene with Wang Hai Di felt like it was there just to get Wang Hai Di back into the story and catch her up enough so to bring in the next scene she has with Zhong Yu Tang. It’s where Zhong Yu Tang speaks about her fear of losing happiness at her most happiest. We thought Zhong Yu Tang expressing the fear to have popped out of nowhere. Not counting the moments where Zhong Yu Tang looks sad every time her mother gets mentioned or every time she thinks about her mother as a subtle display of her fear of losing happiness at her most happiest, there wasn’t anything showing she was troubled by it. 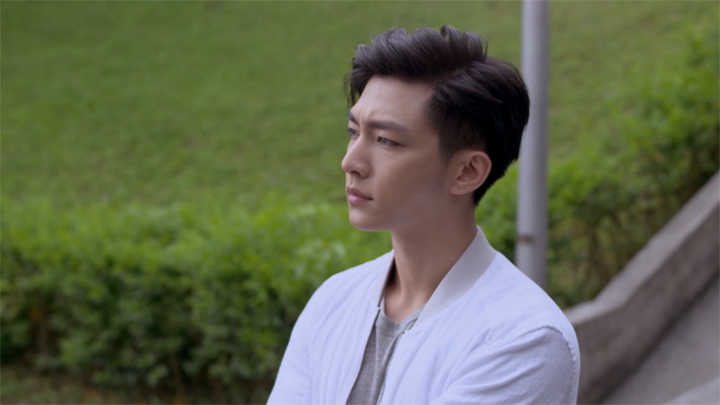 With no buildup to show Zhong Yu Tang having this concern, we couldn’t relate to it at all and the scene was lost on us. Maybe the scene was there to say Zhong Yu Tang is someone who always overthink things. 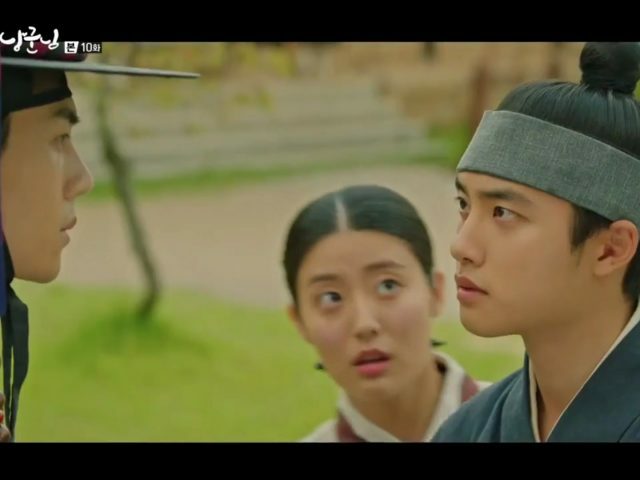 She was told by Ji Wen Kai in an earlier scene. It was the scene where Zhong Yu Tang called Ji Wen Kai to check that he’s okay and he told her she thought too much about his expression looking like it was weighed down by something. Then after the meet up with Wang Hai Di, Zhong Yu Tang brings it up herself and admits she was thinking too much—to which Ji Wen Kai playfully agreed with her. It felt like this was the topic for the first section of the episode. But we can’t see why emphasising Zhong Yu Tang is someone who overthinks things is something important to character development, though, when there hasn’t been much to say she’s the type who overthinks things. Otherwise, the scenes were to extend the Zhong Yu Tang’s mother development to make sure it was given the time it deserves before resolving it. It was the cliffhanger for the previous episode, after all. We feel the mother story is being concluded. We can’t see what more there is to build and develop on the topic of Zhong Yu Tang’s mother. We already heard what Zhong Yu Tang’s mother was like and how she passed away; we see that she’s likely the reason why Ji Wen Kai is back and working so hard to take care of Zhong Yu Tang. And the eatery is finally doing well after doing so poorly for so long because she passed away. There might still be the whole thing of Ji Wen Kai being the person Zhong Yu Tang’s mother’s last actions were for. This could have a possibility of coming in and bringing in some sort of development somehow; but, we also feel it might be highly unlikely when it’s such an insignificant matter. We don’t see anything more for this side of things in the story. The Zhong Yu Tang’s mother plot should be done and dusted now. The scene where Wang Hai Di was concerned about Zhong Yu Tang’s lack of concern towards Miao Ai Sha being with Ji Wen Kai—unnecessary scene. Wang Hai Di was worried Zhong Yu Tang will lose Ji Wen Kai to a beautiful secretary if not careful or concerned enough. Had we not been viewers who can see all the things happening around these characters’ world, Wang Hai Di’s concern of Miao Ai Sha being by Ji Wen Kai’s side would definitely make us feel she has a valid point. But we’re not in their world with a limited view. 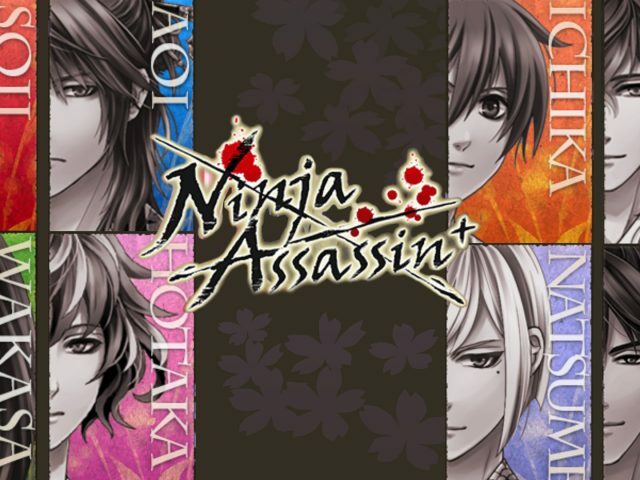 We are shown Miao Ai Sha has so far been very supportive and not threatening. She’s safe and friendly. So, getting a character worried about a love rival when we know there is no love rival made the scene so redundant and like a pointless insert to fill the episode (or to continue on the new personality trait of Zhong Yu Tang as a person who thinks too much). This scene would work better and not look like such a redundant insert of a scene if it came after even a small hint of Miao Ai Sha showing signs she has a chance of moving in and show to have the capability of taking Ji Wen Kai away from Zhong Yu Tang. 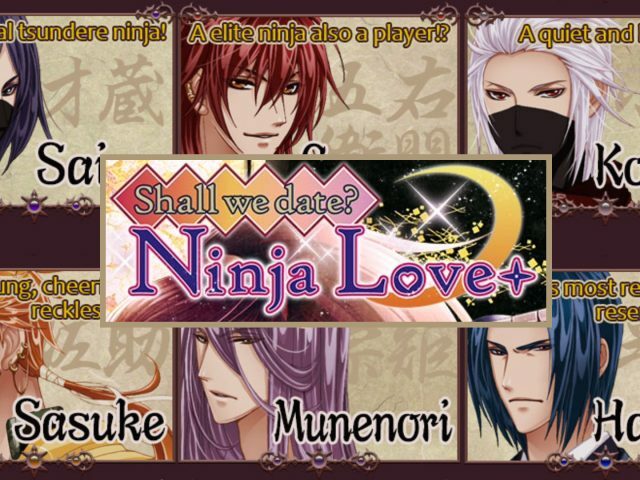 But if this is a forewarning of Miao Ai Sha coming back in as a love rival, it’s a little early. This scene was lost on us, too. These scenes, they didn’t really do much to progress plot or add to character development. We wouldn’t have missed any important details skipping them. With the selling of Mei Mei, the antic-like strategy Sales Team 3 used to grab interest for Mei Mei didn’t at all do well to match the group’s label of ‘talented people’. These supposedly talented people came up with methods that were nowhere their characterisation or description when the skit at the supermarket and online clip wasn’t impressive. Maybe it’s the way it was acted out that made it unimpressive, though. It was done in a comedic manner. The online clip that Chen You Rui and Zhu Liang Yu did was a little too much. It wasn’t very tasteful. We don’t know what made the writers think to put in a scene like that. We weren’t pleased with the cliffhanger. It left off with Ji Wen Kai being caught by Sales Team 3. One of the focus in this episode was Sales Team 3 trying to figure out whether Zhong Yu Tang was dating and who she was dating. It started in last week’s episode; it carried on in this episode; and it was the cliffhanger. We’re not too sure why it is a focus when such a topic isn’t really that interesting to have it become the cliffhanger. 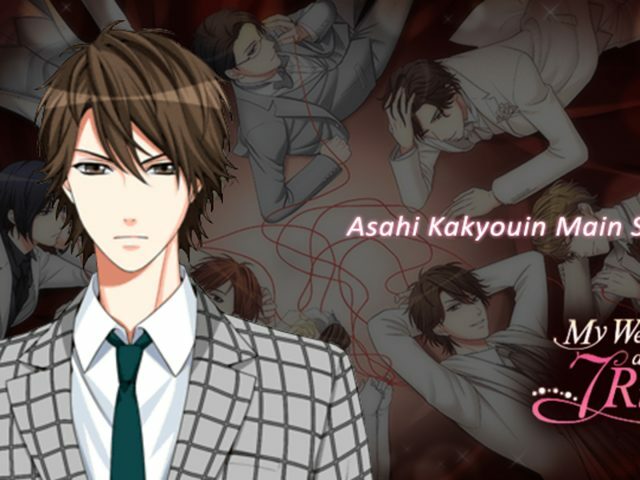 We don’t see what use there is to plot development whether Sales Team 3 finds out whether Zhong Yu Tang is dating their CEO or not. If it had been Sales Team 1 trying to work out if Zhong Yu Tang was dating the CEO, then we would see it useful to plot development because there’s drama in it when Sales Team 1 can use it to affect Zhong Yu Tang with her indicating in the last episode she was worried about being scrutinised by those in the company for dating their CEO. But Sales Team 3 are supporters who at most will tease her about it. There’s not really a huge problem that will come from it with them knowing and therefore nothing ‘cliffhanger-like’ about it. Picking a moment from the episode that we were entertained, it has to be when Ji Wen Kai tried to ask Zhong Yu Tang whether she wanted to go to his place after work or not with the ‘Do you want to have coffee?’ code. It was funny watching Ji Wen Kai struggling. The way he just wouldn’t give up and continuing to get Zhong Yu Tang to get his meaning was funny! But seriously, how can Zhong Yu Tang not get it when she came up with it? When we saw her continue to decline Ji Wen Kai and making him look like he was just too thick for not getting that she just doesn’t want to drink coffee, we actually gave Zhong Yu Tang the benefit of the doubt and hoped it’s that she may just be trying to hide things. But who knew she really was not getting it? Goodness! That part of the scene was a little irritating, but overall a funny scene. We’re seeing there’s some very tiny hints of what’s to come in this episode. The world exhibition in Singapore was mentioned again in this episode. It was mentioned a couple or so episodes ago. We hope this is something interesting. We hope the series starts bringing in some really good drama in. At the moment, it’s not really all that exciting. 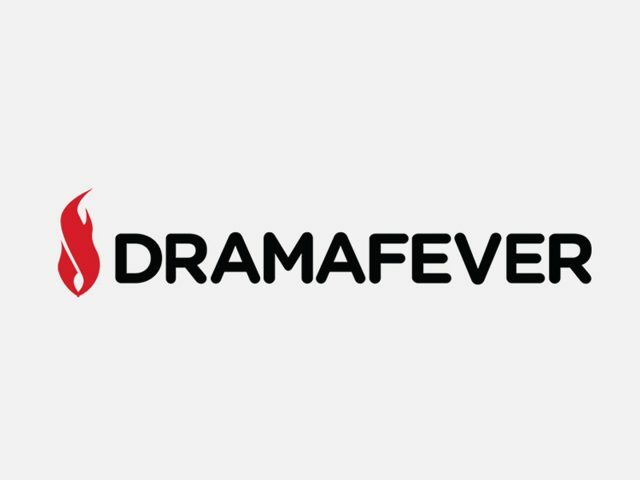 The drama is feeling like an example of its own theme of Refresh Man. It’s not good, but it’s not that bad, yet. It’s not stagnant, but it’s not progressing. So, let’s hope it breaks out of its Refresh Man state. 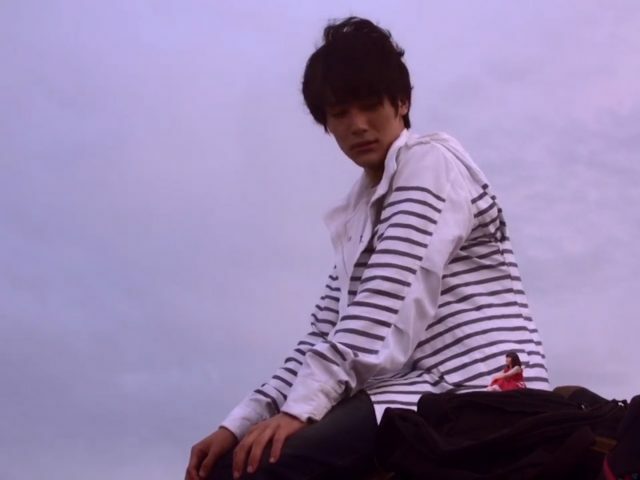 There really needs to be a Ji Wen Kai to stop the series from being a Refresh Man! 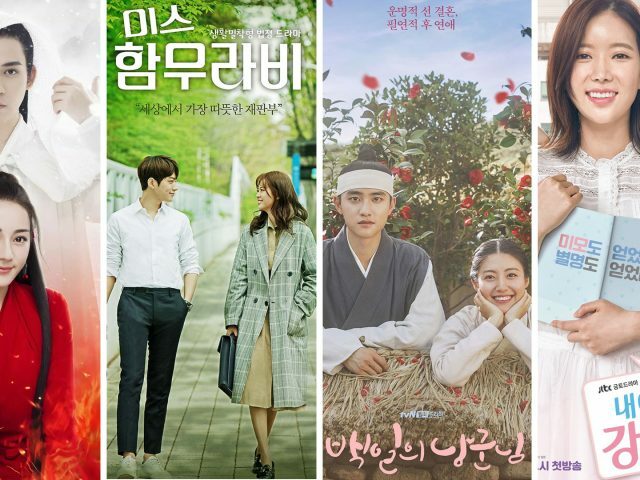 Fingers crossed for some good drama coming in!